The most loved by children and adults. 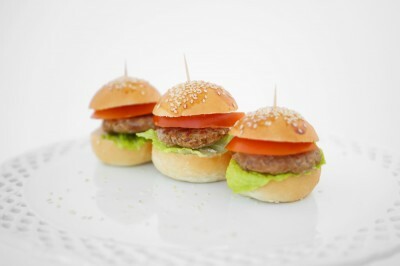 A tender meatball cooked beef to the plate, enclosed in a soft bun milk garnished with sesame seeds, with a dash of egg, fresh tomato, lettuce and mayonnaise season. Flour, milk, margarine, sugar, salt, yeast, sesame, lettuce, tomato, ground beef, eggs, garlic, salt.